Hi, Everyone! 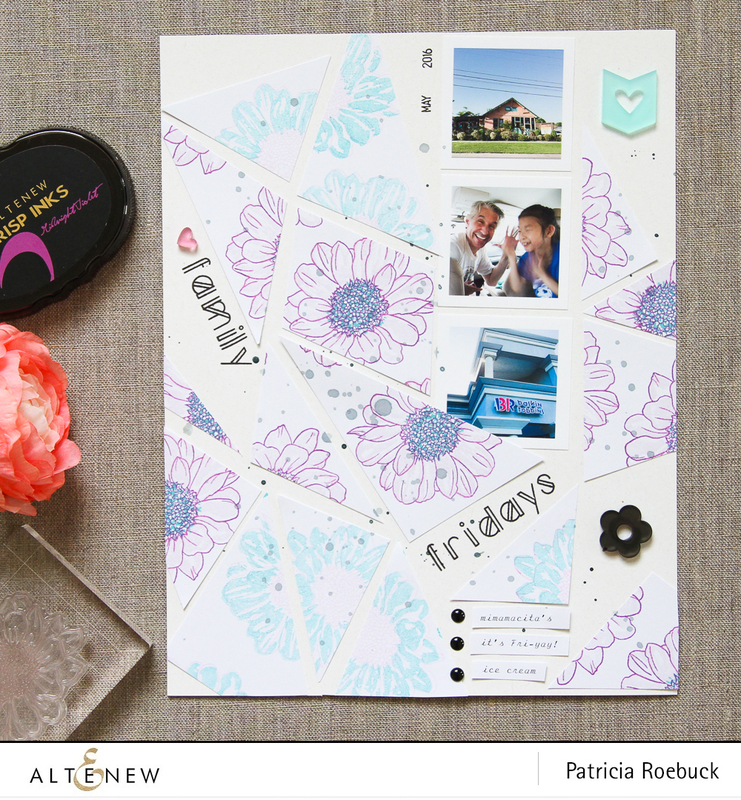 I am with you this afternoon to share a layout that documents our family ritual. 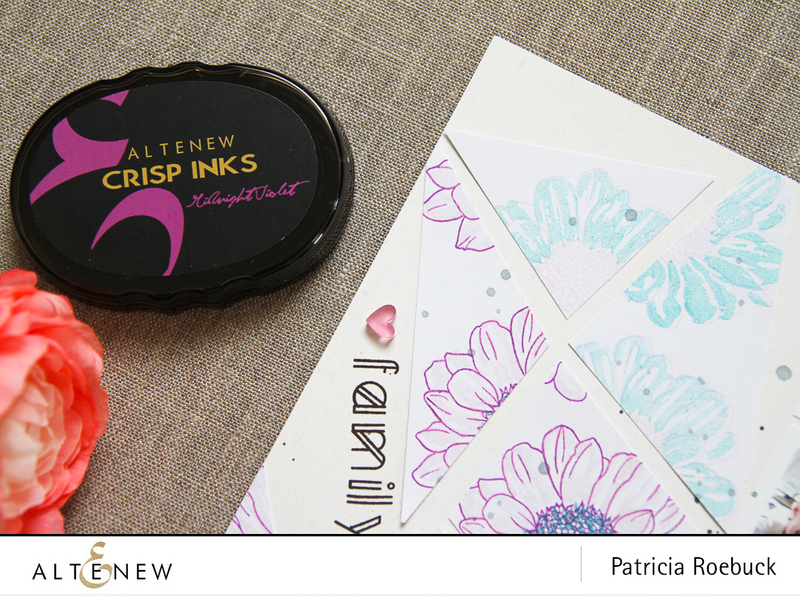 I used the the Spring Daisy stamp set paired with bright colors of the Altenew Crisp Dye Inks in Midnight Violet, Soft Lilac, and the new Lagoon ink. I stamped the images in rows, then decided I wanted to create an interesting background with them. So using my paper trimmer, I angled the white stamped cardstock to cut it up in triangles of various sizes. I adhered the darker color flowers near the center by the photos to bring focus to them, and most of the lighter color flowers near the edges, and then trimmed the excess. Since I got a little creative with my background, I decided to stamp my title along the angles of the triangles using the Modern Deco Alpha stamp set in Jet Black ink. 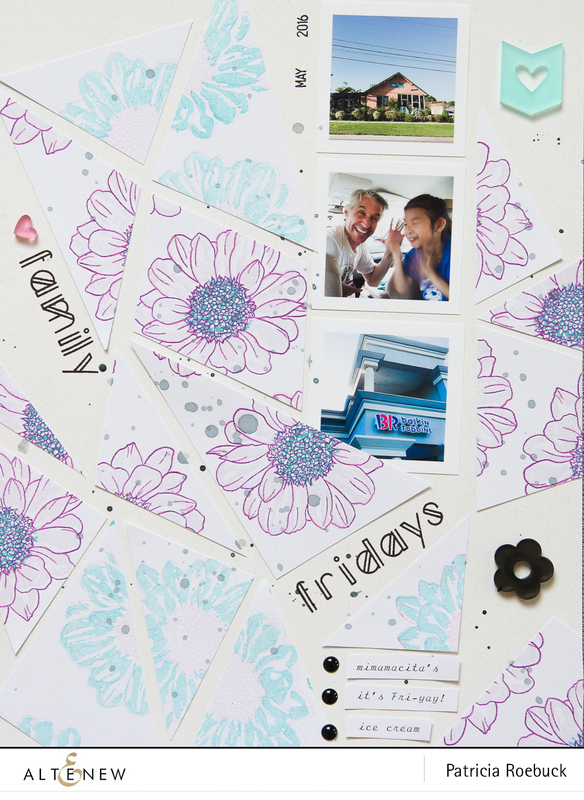 To finish the layout, I typed strips of journaling on cardstock, adhered at the bottom and added a few embellishments and ink splatters. I love the modern abstract look I achieved by cutting my stamped cardstock into triangles and piecing them to create a mosaic background. 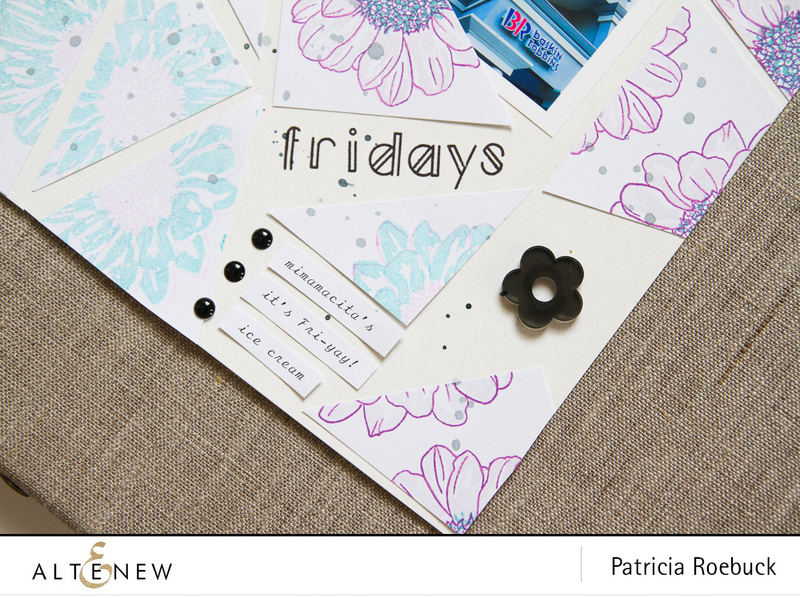 Hope this inspires you to have fun and experiment with different backgrounds for your next project! Thank you for letting me share! Such a lovely layout, Thanks for the inspiration.